WASHINGTON — An appropriations bill approved by a Senate committee April 21 provides a significant increase to NASA’s human space exploration programs by trimming funds from many other major NASA programs. The Senate Appropriations Committee approved unanimously a commerce, justice and science (CJS) spending bill for fiscal year 2017 during a markup session, two days after the CJS subcommittee approved the bill. None of the amendments considered by the committee affected NASA. The report accompanying the spending bill reiterated previous criticism by committee members of NASA’s budget requests for SLS and Orion. 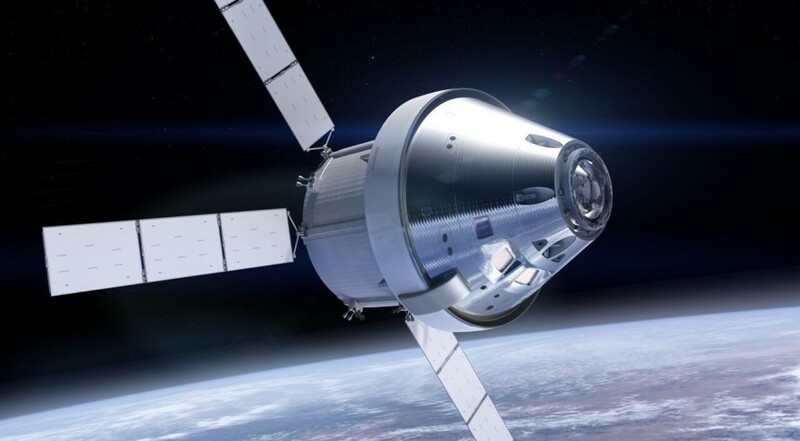 “The Committee continues to be disappointed that funding requested by NASA for SLS and Orion once again bears little relation to necessary funding levels or to amounts provided in previous years,” the report stated. The report does call on NASA to perform a study on whether a Europa lander mission should be launched together with an orbiter mission, or if the lander should be launched separately, and possibly later. At a recent House hearing, NASA officials said they were weighing options to launch the missions separately given the combined mass of the two spacecraft. NASA’s astrophysics program did get an increase of $25 million, to $807 million, in the budget request. However, much of that increase goes to overall NASA science education programs, funding for which is bookkept within the astrophysics division. The report also directs NASA to spend $120 million of that on a new space telescope, the Wide Field Infrared Survey Telescope (WFIRST), $30 million above the administration’s request. The report also directs NASA to place a cost cap on WFIRST of $3.5 billion and launch the mission by 2024. NASA’s space technology program is funded at the same level as 2016, but $140 million below the agency’s request for 2017. Similar to 2016, the report sets aside $130 million of that funding for the RESTORE-L satellite servicing mission concept under development at NASA’s Goddard Space Flight Center in Maryland, double what NASA requested for 2017. The bill also includes $28.9 million in additional funding for nuclear thermal propulsion work. An addition to the space technology portfolio made in the Senate bill is $30 million for a small launch vehicle technology demonstration program that would include development of a “small launch technology platform” capable of placing satellites of up to 200 to 300 kilograms into low Earth orbit. That effort would leverage existing government work on small launch vehicles, such as the Super Strypi rocket that made its first, and unsuccessful, launch last year from Hawaii. Elsewhere in the bill, the committee provided full funding for two key satellite programs by the National Oceanic and Atmospheric Administration, the Joint Polar Satellite System (JPSS) and Geostational Operational Environmental Satellite R (GOES-R) programs. “Keeping JPSS and GOES-R programs on budget and on schedule is critical, as is maintaining their respective cost controls, particularly when NOAA’s satellite missions continue to dominate the agency’s annual budget requirements,” the report stated. The appropriations committee also approved at the same markup session a spending bill for the Departments of Transportation and Housing and Urban Development, which includes the Federal Aviation Administration. Within the FAA’s budget, the bill provides $19.826 million for its Office of Commercial Space Transportation, the amount requested and an increase of $2 million over 2016. A separate research, engineering and development budget in the FAA also includes $2.5 million for commercial space transportation research.